Widowsorwidowers.com is the longest running dating website in Australia exclusively for widows and widowers. Since its’ inception in 2004, and with partner sites in the UK, US, South Africa, Canada, Ireland and New Zealand, Widowsorwidowers.com delivers a first class online dating experience. From the far-flung corners of Perth, across to Brisbane, Adelaide and down to Melbourne, Widowsorwidowers.com has members throughout Australia. Once registered, you can start browsing through profiles and sending messages to those who take your interest. Members from across Australia, with a flexible range of search and location options.  Providing the perfect platform to easily connect with others who have also lost a partner, Widowsorwidowers.com creates the ideal environment for romance to blossom. Men and women deal with loss differently, but the acceptance and growing demand for widow dating has enabled more widows and widowers to connect and share their grief, building lasting bonds of trust and friendship in the process. Widowsorwidowers.com Australia helps widows and widowers to find romance and friendship again, in a safe and secure, carefully moderated environment. If you’ve decided it’s time for you to take those first few steps towards seeking new friends and possibly forming a romantic attachment, Widowsorwidowers.com is the right place to do so. We aim to guide you through each step on your way to finding love again. With it’s great diversity and mix of people, Australia is home to a wide variety of people and at Widowsorwidowers.com it is our number one goal to help you find that special someone who will understand what you’ve been through and with whom you can begin a new journey.